Whether you think it’s the most wonderful time of the year, or the time to batten down the hatches and hide until March, Oscar Season is officially upon us. The Independent Spirit Awards nominations have been announced, the critics groups are about to unleash their many awards, and the prognosticators are working day and night to figure out who will get nominated for the Academy Awards. The irony, of course, is that those prognosticators aren’t just predicting the Oscars. They also exert some influence, if only by keeping key films alive in the public consciousness and the minds of the Oscar voters. A film that nobody is talking about is less likely to receive an Academy Awards nomination than a film that everybody is talking about, so if the many publications that build up Oscar buzz decide to ignore a film there’s a very good change everyone else will ignore it too. Nobody can pretend that the Oscars are an objective measure of quality. Too many great films have been snubbed altogether, and too many bad or mediocre films have walked away with golden statues. But an Academy Award should mean something. It’s an award bestowed upon filmmakers by a jury of their peers, and it would be a shame if too many great films are slighted in any given year. That’s why we are once again taking a look at a group of films that deserve more Oscar buzz than they are currently receiving. 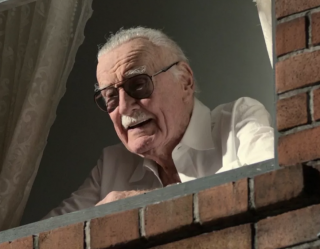 These films – some of them released too early in the year, some of them obscure, and some suffering from unusual circumstances – are just as worthy contenders as any of the films that are getting all the Oscar buzz already. You should check them out if you haven’t already, and if you admire them as much as we do, you should do your best to keep them a part of the conversation before the Academy flat out forgets that they exist. These six movies deserve a LOT more Oscar buzz. We’ll find out if our efforts helped or were in vain when the nominations are announced on Thursday, January 14, 2016. No film from the first half of 2015 made as many waves as Alex Garland’s Ex Machina, a smart and disturbing sci-fi story about two men testing the limits of a female robot’s humanity. The film raises important questions about the human consciousness, but more to the point, Garland’s screenplay speaks to ongoing and unsettling trends in the way men treat and talk about women. 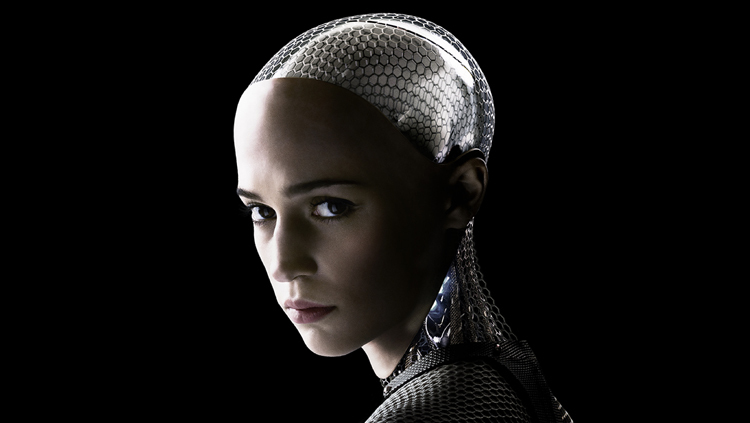 As the artificial intelligence Ava, Alicia Vikander had her first breakout role of the year. It’s a thrilling, chilling performance. Ava could be declared a lead or a supporting role (the Academy gets to decide that for themselves), but Vikander is also a serious contender for her performance in The Danish Girl, in which she undeniably gives a lead performance. A nomination for Best Supporting Actress might be the best bet for the actress, who would face stiffer competition in the lead category from Cate Blanchett (Carol) and Brie Larson (Room). Oscar Isaac also deserves serious consideration for Best Supporting Actor for his punchy, boozy portrayal of a manipulative, arguably misogynistic genius. 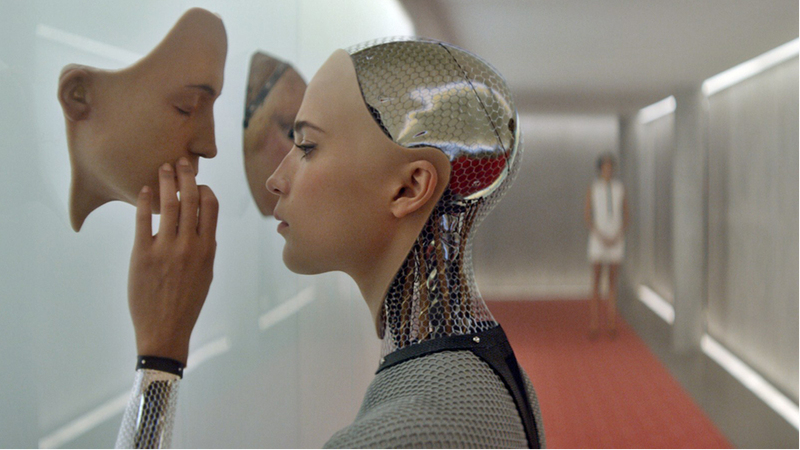 Alex Garland definitely has earned a Best Original Screenplay nomination for this intelligent and complex writing, and although Ex Machina may not have the flashiest visual effects of the year, Ava may nevertheless be the year’s most convincing use of CGI, and the Best Visual Effects category would be well served to include it. 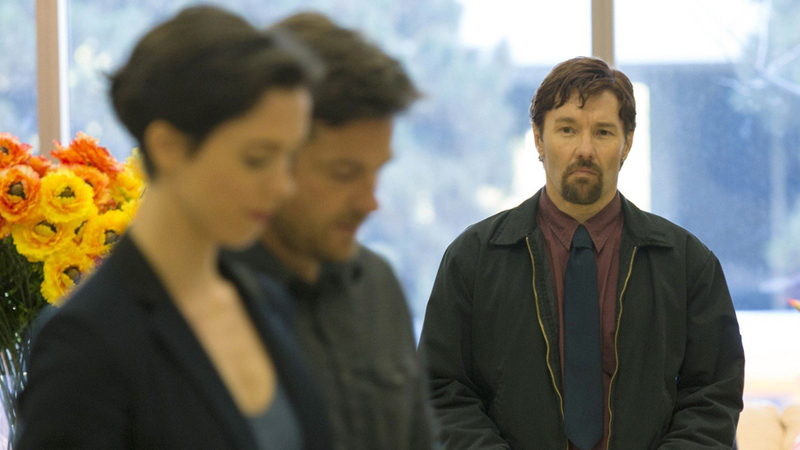 Few thrillers are as consistently unpredictable as The Gift, a vicious drama about a married couple (Jason Bateman and Rebecca Hall) forced to deal with the sudden interjection of an old high school friend (Joel Edgerton) who may not be everything he seems. What plays at first like a standard stalker tale instead reveals more unpleasant secrets about the heroes than the so-called villain, and culminates in a sequence of events that nobody sees coming, and no one is likely to forget. Joel Edgerton also wrote and directed The Gift, and although the film is probably too grim to gain much traction in the acting, directing and especially the Best Picture categories, his screenplay deserves serious consideration. The Academy has a long history of bestowing Best Screenplay nominations – in this case, Best Original Screenplay – to films that go unrepresented in all the other categories but were obviously expertly scripted. (See recently: Nightcrawler, Margin Call, and In Bruges.) It would probably be a token nomination, but The Gift deserves it. 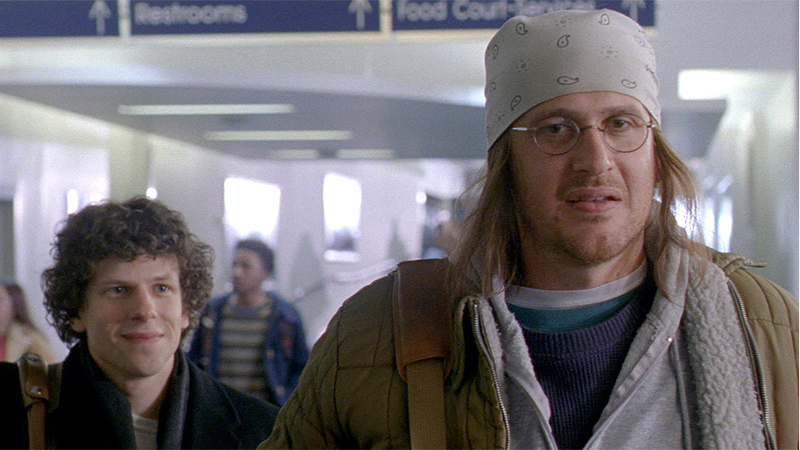 Released to nearly universal acclaim over the summer, but now conspicuously absent from the awards season conversation, James Ponsoldt’s The End of the Tour chronicles an interview that took place over several days between author David Lipsky (Jesse Eisenberg) and David Foster Wallace (Jason Segel), whose masterpiece Infinite Jest had only just been released to universal acclaim of its own. It is a conversational film but a joyous experience, filled with rich characters, philosophical insight, personal mysteries and a performance from Segel, in particular, that is obviously one of the best of the year. Or is it obvious? Segel is being more-or-less ignored by awards pundits so far, perhaps because those who knew Wallace personally have questioned the accuracy of his portrayal, or perhaps because The End of the Tour came out months ago and didn’t have as much traction as it should have. Regardless, Segel warrants a nomination this year, as does Donald Margulies’ distillation of Lipsky’s memoir And Of Course You End Up Becoming Yourself. Best Picture and Best Director nominations seem far less likely, but that doesn’t mean that they would be any less warranted. This should not be the end for The End of the Tour. In 1974, shortly before the completion of The World Trade Center, tightrope artist Philippe Petit snuck into the buildings, stretched a wire between the Twin Towers, and walked between them without the aid of a net. 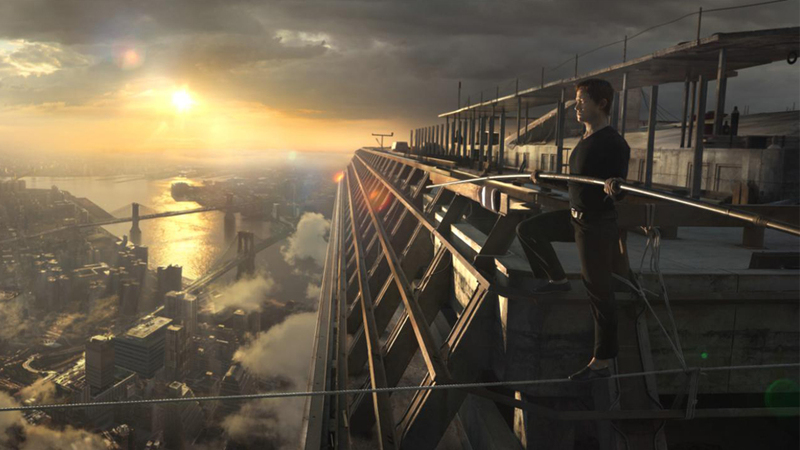 It’s a nearly unbelievable story that has already been told in the 2008 Oscar-winning documentary Man on Wire, so perhaps that’s why nobody batted an eye when Robert Zemeckis transformed the tale into a fictionalized account earlier this year, called The Walk. And what a tragedy that is, because The Walk is one of Robert Zemeckis’s finest achievements. Unlike the documentary – which featured no archival footage of the event (because it doesn’t exist) – The Walk spends its third act almost entirely in the air between the Twin Towers. 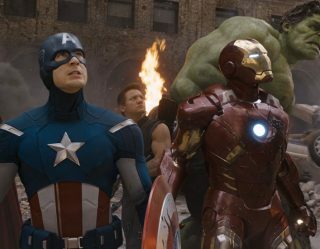 It sounds like a simple visual effect but the filmmaker pulls out all of the stops, transforming a simple sequence into one of the most breathtaking scenes in recent film history. It’s a career highlight in a career that already includes Who Framed Roger Rabbit? and Back to the Future. The build up to the actual walk is, probably, unworthy of a Best Picture nomination (it’s just a straight-up heist film, without the actual “heist”), but Zemeckis’s direction is worthy of Oscar consideration, as are the stunning visual effects that create the uncanny illusion that Zemeckis actually got a real camera in the ether above New York City. Darius Wolski shot the hell out of this film, and Jeremiah O’Driscoll’s editing plays up every gust of wind for maximum suspense. As a technical accomplishment, if nothing else, The Walk is worthy of a lot more Oscar buzz. 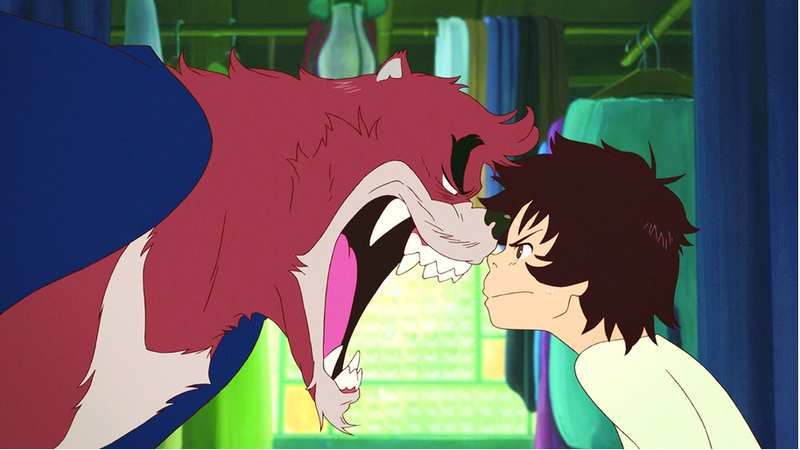 Mamoru Hosoda’s film is the impossibly emotional tale of a young boy who runs away from home after his mother dies, and accidentally finds himself in a subterranean world of monsters. Not scary monsters, but profound monsters, one of whom takes our hero under his wing so they can both learn a thing or two about strength and family and martial arts. Where The Boy and the Beast goes from there we cannot say, because it takes several unusual and brilliant turns, but the gorgeous climax features imagery you have never seen before in any film, and it will reduce you to tears. The Boy and the Beast is one of the best films of the year, but it’s unlikely to receive any Academy Awards consideration outside of the Best Animated Feature category. Even there, it’s late in the year Oscar qualifying run makes it a long shot. 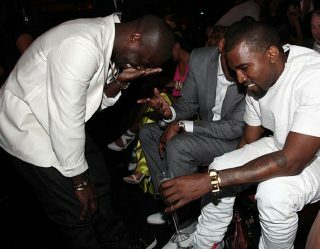 But it deserves this accolade and more. It seems odd now to think of Steve Jobs as a potential Oscar snub, since it has one of the finest pedigrees of any movie in 2015, it’s one of the most critically acclaimed films of the year, and until a month ago everyone assumed it would be a frontrunner. But then the film premiered to miserable box office numbers, forcing the film off of practically everybody’s radar. 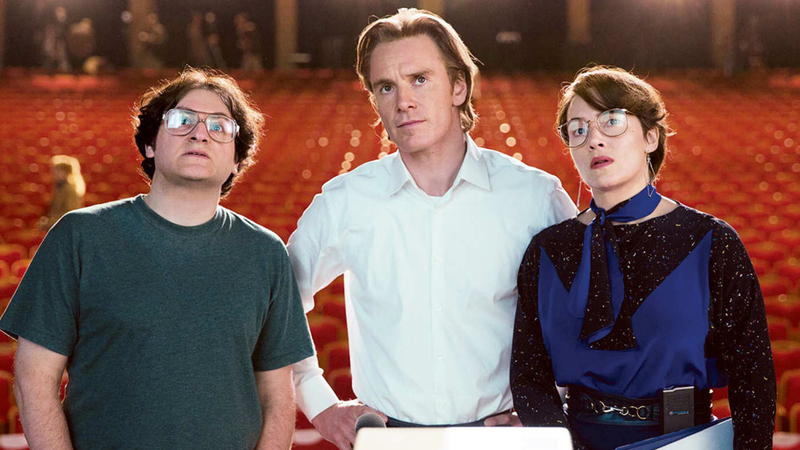 Steve Jobs has all but vanished from the box office and, unless it does spectacularly well at the various critics awards, no longer seems poised as a major Oscar contender. And that’s a crime, because Steve Jobs is – whatever you may think of the subject matter, or the film’s accuracy – one of the most exciting motion pictures of 2015. Michael Fassbender ingeniously captures the intellect, mystique and enigmatic heart of the Apple guru, and is supported by an excellent supporting cast. Director Danny Boyle transforms Aaron Sorkin’s theatrical screenplay into visual dynamite, accompanied by exceptional cinematography, editing and music. It is absurd to think that Steve Jobs might become an also-ran this year, and so the time is now to start building back up its Oscar buzz. Let the mania for these six films commence in earnest, and let the madness of Oscar Season finally kick in!